Instead of closing this request, why you do not transfer to the proper governing authorities, informed us in which category it should filed into? This issue was recategorized from Graffiti to Public Space, Streets and Drains. In front of house a large old tree is rotting and hollow from the bottom up to 6-8 feet. Hard to tell because it is leaning into the parking area. It has dropped branches onto my car as I visit and have been told not to park near it as it is unstable. Many wires involved and it is also an active pedestrian route. I think it is an accident waiting to happen and needs I mediate attention. 60 Edwards Street close to State Street. Thank you. Verified UI completed removal. Stump added to cue. My car was damaged by a falling branch. How do I file a claim for repairs? There are a number very large broken branches stuck in this tree. The tree overhangs a parking lot for the tenants at 228 Edwards St. I am not sure how to contact the landlord for this building. Today is a holiday, so I don't know if anyone will answer. Thanks. Those numbers are all realtors who seem to have no idea. Not property managers. I apologize. I figured the realtors would have contact information for the landlord who contracted them to sell and/or lease the property. I'm guessing there must be some kind of privacy clause preventing them from disclosing the information. This issue was recategorized from SNOW RELATED to Private Property Issue. 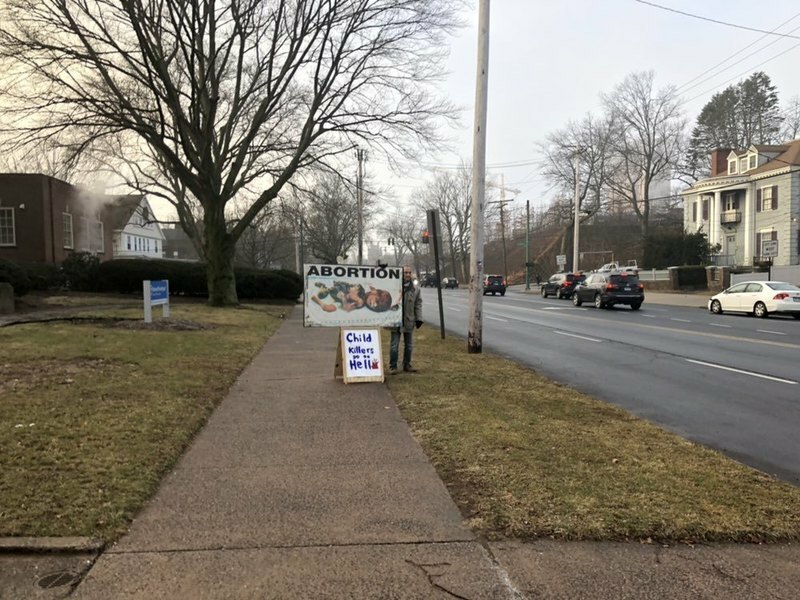 I respect people freedom of speech, however these pictures are not suited in a busy area where young children walk to school. This person could express his opinion without exposing disgusting photos. We do have PG13 for protecting children from TV programs, so should we for public display on the streets. I respect people freedom of speech. However, these pictures are disturbing and offensive, specially in a location where young children walk to school. We do have PG13 and Parental features to protect our children from these types of TV programs, so should we when it comes to public display. This person could protest and express his opinion without shocking children minds. This issue was recategorized from Tree Trimming to Removal - Priority 2. 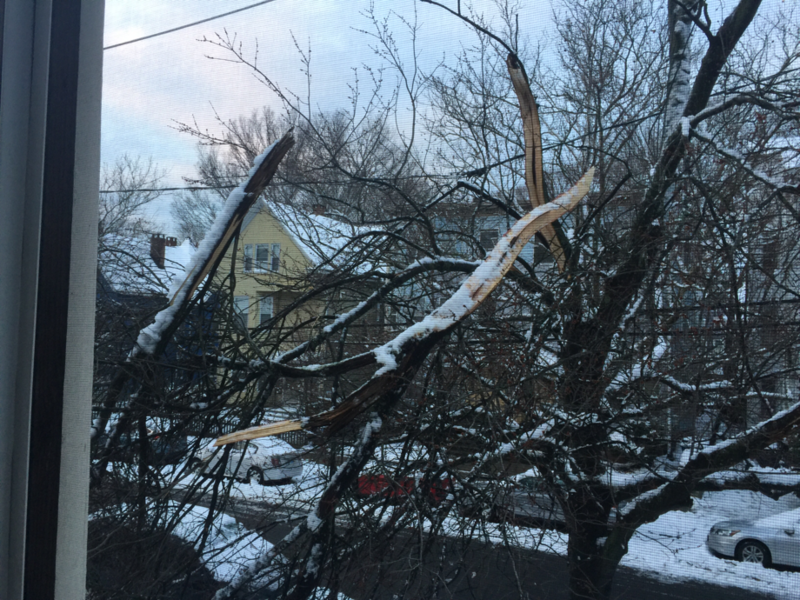 Sadly this issue was not addressed and now the tree branch has broken with the storm. Issue 4531682 has been marked as a duplicate of this issue.